Aleut artist Teresa Mae Anderson makes beautiful jewelry from ivory and other materials native to Alaska. 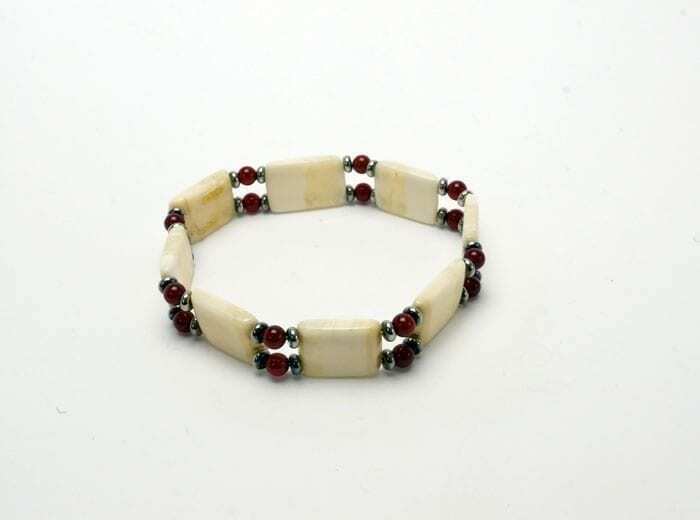 This previously owned bracelet stretches to fit comfortably. 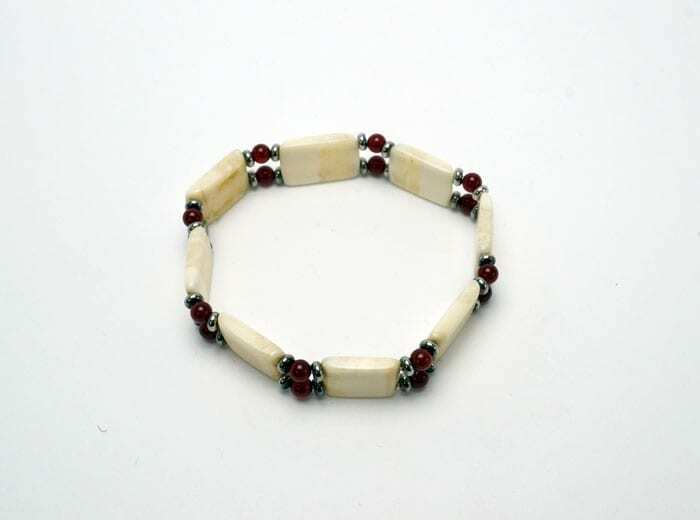 The ivory chicklets are separated by sterling silver and red beads. 7/16 in. wide; inner circumference is approximately 6 1/2 in. A sterling silver bangle bracelet with an interesting trapezoidal shape and a small 18K gold flower. 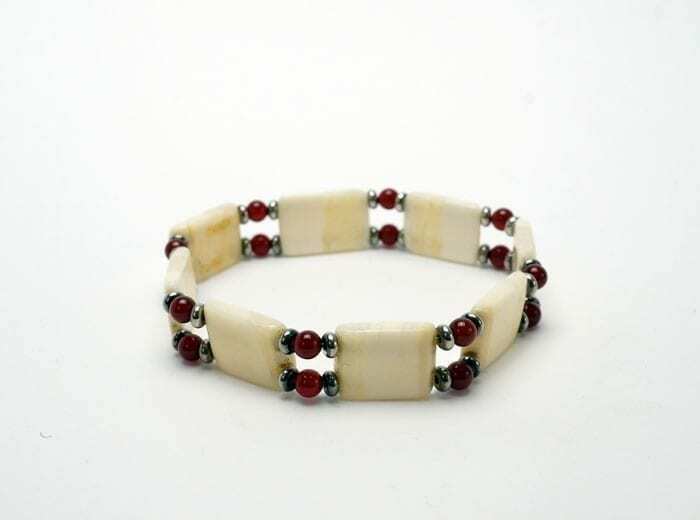 The trapezoidal shape will comfortably fit a wide variety of wrist sizes. Formed from 1/8" square wire. Flower is 1/4" diameter.